The prominent filmmaker, Subhash Dutta, passed away on 16th November, 2012. He was a director, a producer and an actor- all at once. He won many awards including National Film Awards in 1977 and Ekushey Padak in 1999 for his contribution in our film industry. Celebrating Life was honored to award him Lifetime Achievement Award 2011. 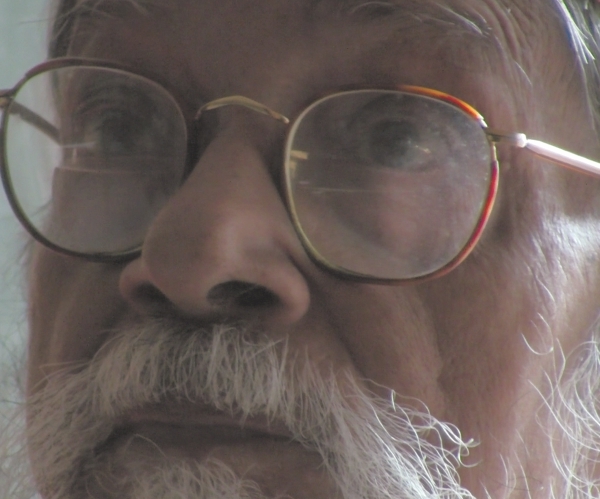 Subhash Dutta, one of the prominent filmmakers of Bangladesh, passed away on 16th November, 2012, at his own residence in the capital. He was suffering from heart disease and old age complications. He was a cultural activist who devoted his life to film-making. He was a director, a producer and an actor- all at once. The body of Subhash Dutta was taken to Central Shaheed Minar for the people to pay their last respect. The police offered the Guard of Honour and salutes to the late freedom fighter recalling his contribution to the 1971 Liberation War. Later, his body was taken to Bangladesh Film Development Corporation (FDC) premises where the members of the film industry paid their last respect to the eminent film director. Then, his remains were taken to Postogola Crematorium for cremation. Subhash Dutta was born in February 9, 1930 in Dinajpur. He started his career as a movie poster artist. He drew posters for first Bengali language movie 'Mukh o Mukhosh'. In 1964, he made his directing debut with the movie, Sutarang. He not only directed the film, he also acted in the lead. The movie won second prize at the Asia Festival at Frankfurt in 1965. His Film 'Abirbhab' (1968) also won a prestigious award at the Frankfurt Film Festival. His directed movies were awarded in several other film festivals like Phnom Penh Film Festival (1968), Moscow Film Festival (1967, 1973, and 1979) and so on. Some of his famous films include Sutarang, Abirbhab, Kagajer Nouka, Palabadal, Alingan, Aaina O Abashishta, Binimoy, Akangkha, Arunoddhoyer Agneesakshi, Bashundhara, Dumurer Phul, Sakal Sandha, Phulshajya, Abdaar, Nazma, Sabujsathi, Swami-Stri, O Aamar Chhele and so on. He had the desire to make a film on Begum Rokeya, the pioneer of women rights movement in Bangladesh. The script was prepared, but he didn't live to see the film being made. Duttaa acted in numerous movies as well, such as A Desh Tomar Amar Rajdhanir Buuke, Surjosnan, Chanda, Talash, Nodi o Nari, Harano Shur, Kayce Kahu, Poyshe, Kolkata 71, Noya Micchil, Aaina o Oboshishto etc. He also acted with the acclaimed theatrical group, Aronnok. He won National Film Awards in 1977 and Ekushey Padak in 1999. He also got award for his acting by Pakistan Film Festival in 1965. Subhash Dutta discovered the popular actress, Kobori, by giving her the lead in his film 'Sutarang'. He gave her the name “Kobori”. She was deeply hurt when she learned about his death. She compared it to the pain of losing her father. Suchanda, another popular actress, also worked with Subhash Duttaa in a number of films. She cherished countless memories with the director, and prayed for the soul of the spiritual film icon. Elias Kanchan told The Daily Star that he had always wanted to be a film actor, but his first break came through Dutta, in his film “Bashundhara”. Dutta saw Kanchan in a play and was very impressed. Later on, the director offered Elias Kanchan the lead role in his movie and it became his big break. Elias Kanchan said that one of the greatest things about Dutta is his ability to connect with people from all walks of life. Popularly known as “Nayok-raaj” or “King of Heroes”, Razzak also worked with this legend in a number of films. Razzak's first film with Subhash Dutta was 'Abirbhab'. According to Razzak, 'Abirbhab' was a milestone in his career. Subhash Dutta also directed a film under the banner of Razzak's production house 'Rajlokkhi Productions'. Other films they worked on comprise of 'Phool Shojya' and 'Abdar'. Another well-known actor, Ahmed Sharif, said that the late filmmaker was one of the few people who made quality cinema in the country. When he was being typecast as a villain, Subhash Dutta gave him a positive role in 'Arunodoyer Agnishakkhi'. He also worked in 'Phool Shojya' and 'Shobuj Chhaya' under the direction of Subhash Dutta. Managing Director of BFDC, Pijush Bandopadhyay, recently hosted a programme on Subhash Dutta on Desh TV. He said that he had known this legend for years, and he was feeling the absence. He also grieved the fact that the guardian figures of the country's cultural arena are dying out and wished eternal peace for the deceased filmmaker. His memory will remain alive in the hearts of those who were touched by his films. Renowned singer Rafiqul Alam, in an interview to Star Insight, kindly shared some thoughts about Subhash as man and a film-maker. I first met Subhash at Rajshahi Betar Kendra. I remember him as a great comedian. It was in 1964 that Subhash directed one his masterpieces 'Shutorang'. The movie became an instant hit, and Subhash himself was very proud to have the film shot entirely in rural Bangladesh, whereas those days most of the films were shot in Kolkata. Later, during Independence war, Subahsh was a regular performer as a comedian in radio natika (short drama). I had the privilege to work with the legend in four films. Late in his life, he wanted to make a film about Begum Rokeya, and I was supposed to be involved in that movie. I remember him as man with a great sense of humor and his cordiality. Yet, the man was a perfectionist. He was very particular about pronunciation, and used to be present during all recordings. He even made the singers practice Yoga for better breath control. Subhash will be missed by all who had the opportunity to work with such great film-maker. Subash Dutta was awarded the ‘Lifetime Achievement Award’ in Film for his extraordinary contributions to Bangladeshi film industry. The interview was taken by Riad Arfin and Mahde Hasan in 7th September, 2011 during their Bio-pic production. Riad: What inspired you to become a film-maker? From then on, 'Pather Panchali' started to haunt me. Satyajit Ray was a commercial artist and so was I. If he can make films, so can I. If it wasn't for Satyajit Ray, I would have never gotten into film-making. Mahde: Did you have contact with Satyajit Ray? SD: After watching Pather Panchali, I wrote him a letter. He didn't get to send me a reply. But later on, when I went to Calcutta, I got to meet him. When he came to Dhaka, he congratulated me for 'Sutarang'. It was a big deal for me. Among all the awards I have got, this was the greatest 'award' to me. M: We see that you do your storyboarding in your sketchbook in painstaking details; is that also inspired by Satyajit Ray? SD: That goes without saying. M: How did you start working on a tough project like 'Sutarang'? SD: I came up with the title 'Sutarang'. 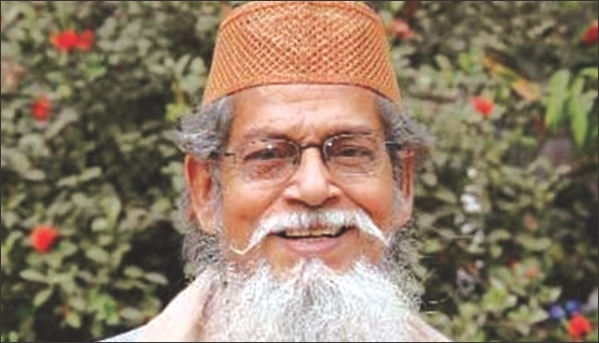 Syed Shamsul Haq provided the storyline. I wrote the script. A lot of people said that nobody would want to produce a film without songs and dance. I started this work having faith in Almighty. I brought in Kobori. I gave her this name. There's a difference between Korobi and Kobori you see (laughs). The word 'Sutarang' is not there in the whole film except in the second last scene. The word is said only once in the entire film. The audiences thought what kind of a name is 'Sutarang'! R: Your film 'Abirbhab' went to a prestigious film festival. SD: Do you have any footage of that with you? R: No, we don't. We only have one or two songs from that film. SD: Yes. 'Abirbhab' went to a prestigious film festival. The queen of Cambodia watched the film. I couldn't manage to provide subtitles. But the audience saw the film even without subtitles. The queen understood the story. After the show, she looked for me- “Where is that short man, Subhash Duttaa?” Then her employees took me to her. M: Which one of your films is your favorite? SD: It is a tough question. Whenever anyone asks me this, I become dumb. It's hard for me to answer this because I don't make any films negligently. So, I really can't answer this question. M: You have a spiritual side to your lifestyle. How do you mash it with your film-making? SD: Film-making and my spiritual life are two completely different things. M: No relevance at all? SD: Not at all. I just get energy for my work from my spiritual life style. M: Tell us about the time when you wanted to make a film about Begum Rokeya. SD: I wanted to make a film about her. We prepared the script. But we could go forward with it; as simple as that. We still have the script. If anyone ever wants to get that film made by me, I would love to make it one day. It's a heartfelt desire of mine. M: If you make films now, what kind of films would you make? SD: I would make films in my style.